I am by no means a domestic goddess (in fact, far from it) so I like to keep things as simple as possible in the kitchen. No fancy equipment or expensive ingredients you can’t even pronounce. 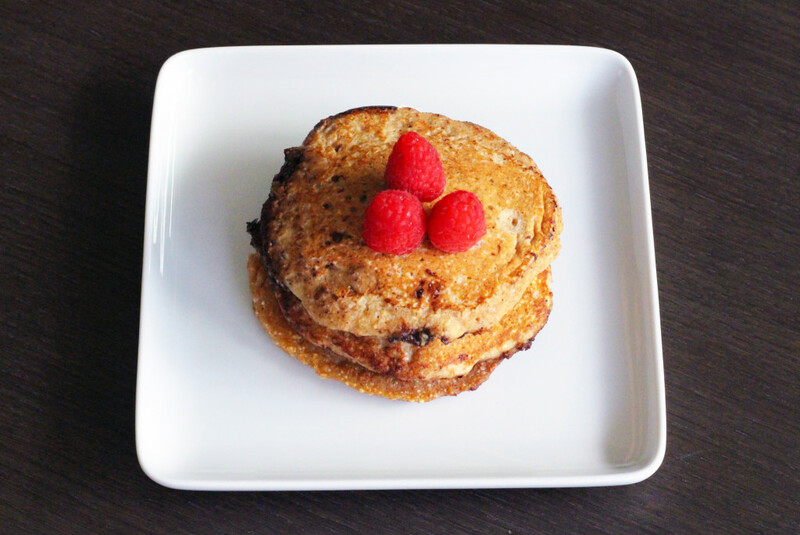 Here are some easy and healthy breakfast recipes for even the laziest of people. Because if I can do it, you most definitely can. Does this not look like most delicious thing ever?? Can I tempt you with more photos? Add the instant oats and chia seeds to a jar or glass, then pour the unsweetened soy milk in until the oats are completely submerged. This is very, very important. One time, I put in too little soy milk and had to contend with a mouthful of dry oats (which trust me, you do not want). 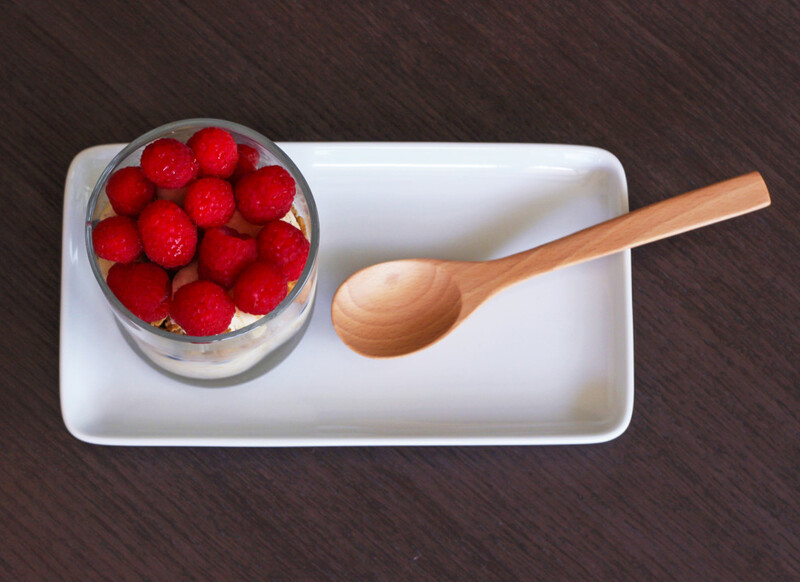 Cover the jar or glass with cling wrap and place it in the fridge overnight. 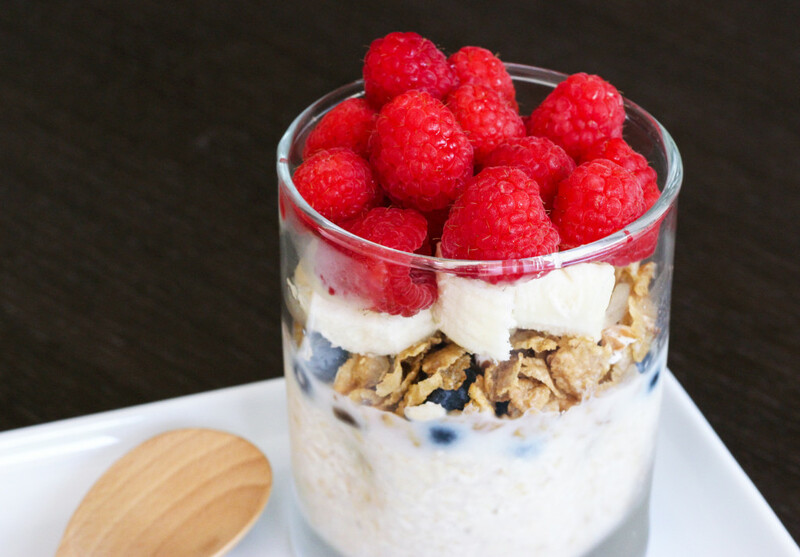 The next morning, just add the granola and fruit to your oats before eating. You can also mix some honey in if you like your oats a bit sweeter. 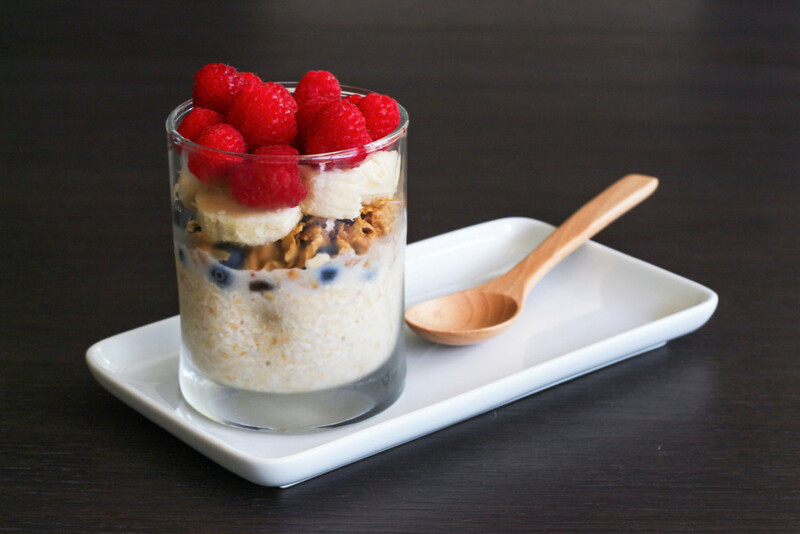 Enjoy your overnight oats and marvel at how exceedingly clever you’ve been about breakfast choices. 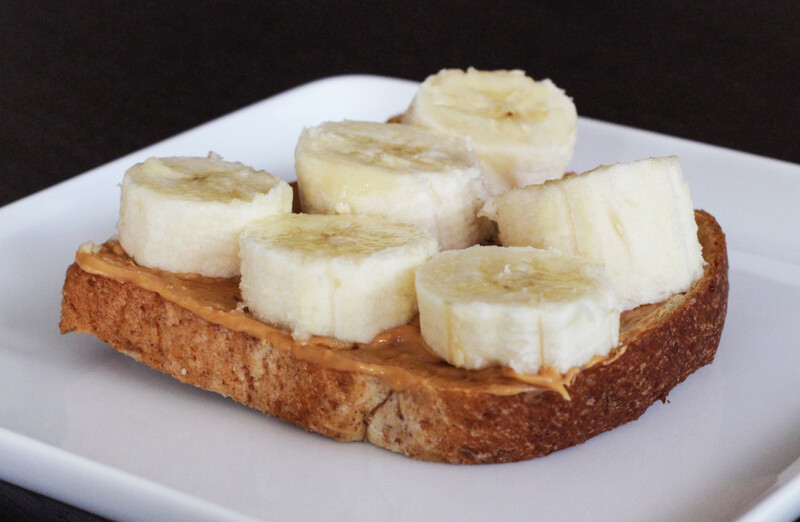 Slather peanut butter onto your toast. 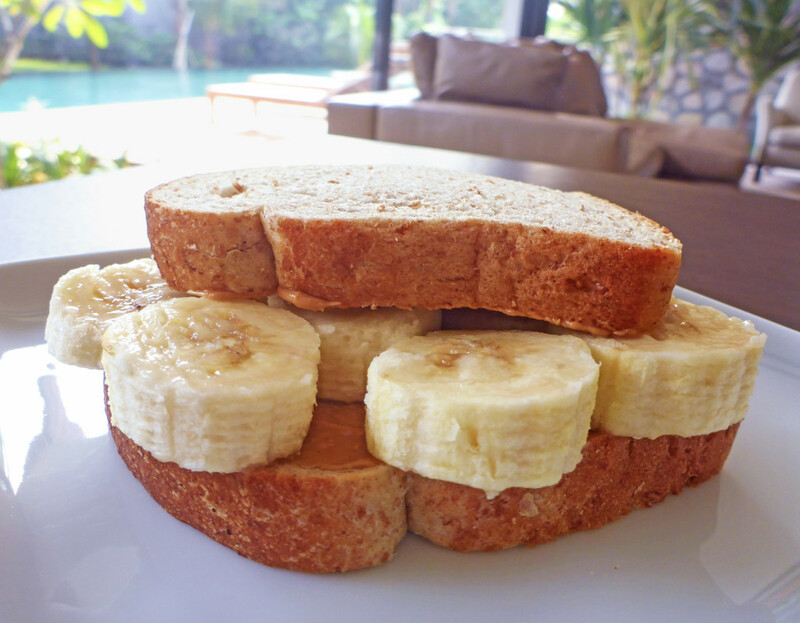 Slap some banana slices on top. Ta-daaah, best sandwich ever. 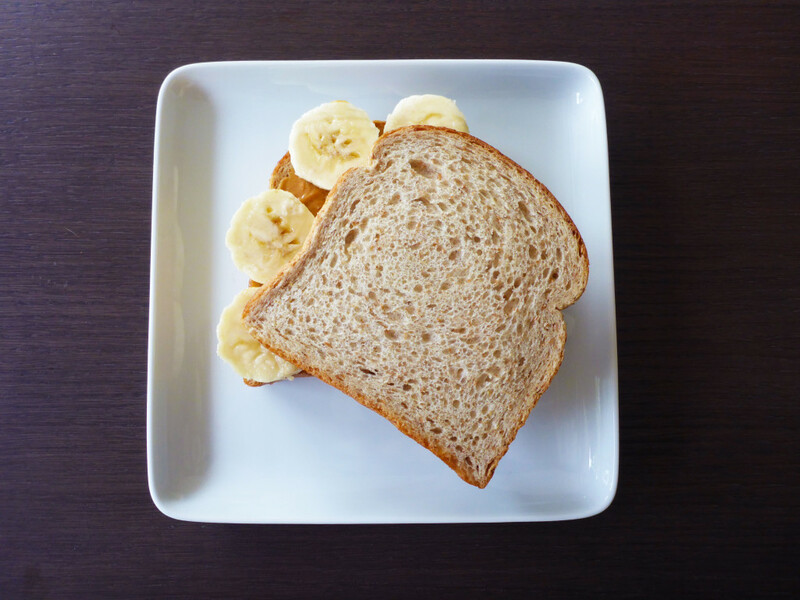 I recommend slicing your sandwich into squares, or you might get random bits of banana falling out when you bite into your sandwich. An easier (but less aesthetically-pleasing) way to do this is to just cut your banana in half, then wrap the bread around it like a hot dog. Your body will thank you for eating this, instead of a mystery meat McMuffin. Crack egg whites into a bowl and mix them. Take care not to get any eggshells in there. Nobody likes biting into eggshells. Put a bit of oil into a pan and set at medium heat. You, my friend, are going to make an egg white omelette. 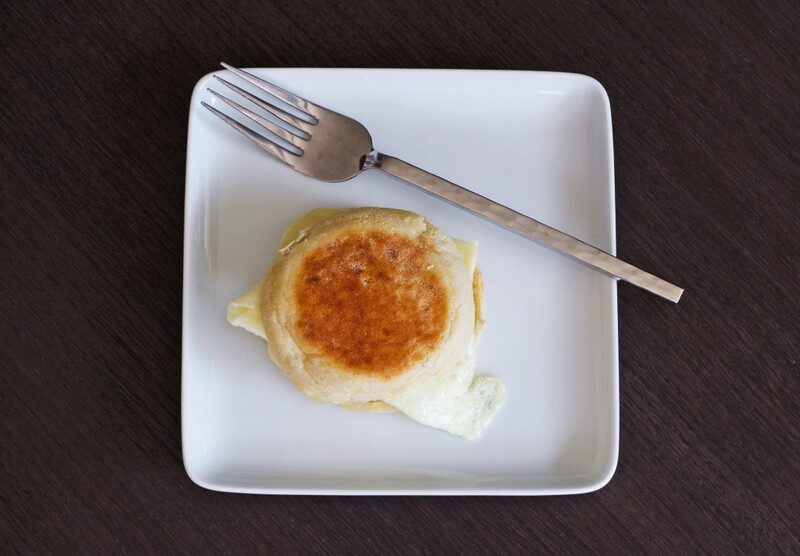 While the pan is heating up, pop your slice of cheese onto the English Muffins and put them in the toaster. Trust me, they taste much better when toasted. Cook your egg white omelette and season with pepper or salt for taste. 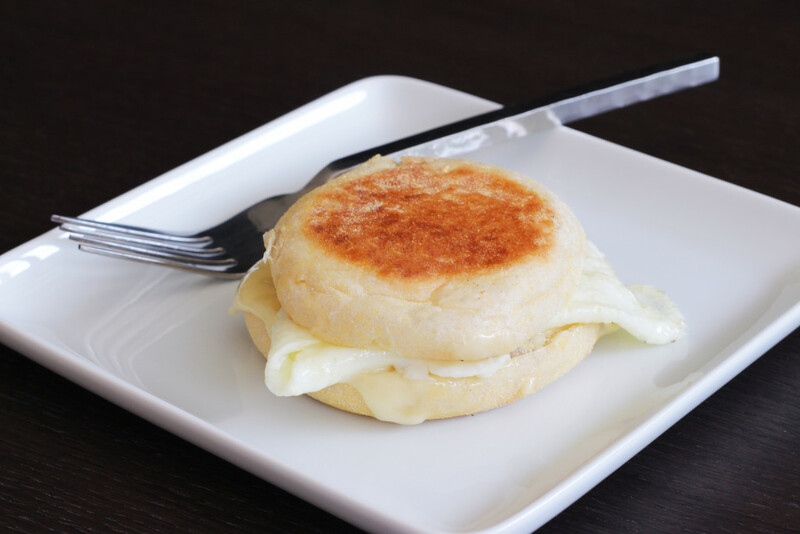 Place your egg white omelette onto the English Muffins and enjoy. Mix honey into the greek yogurt. 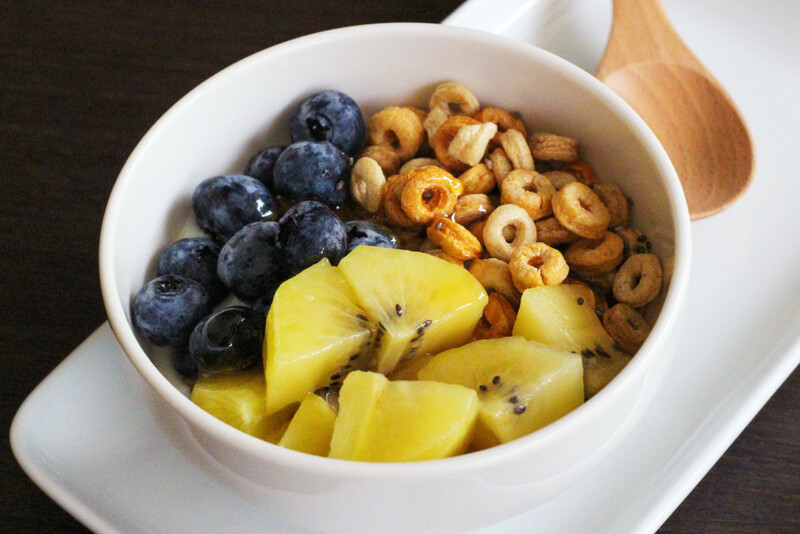 Add Cheerios, kiwi slices and blueberries. Bam. 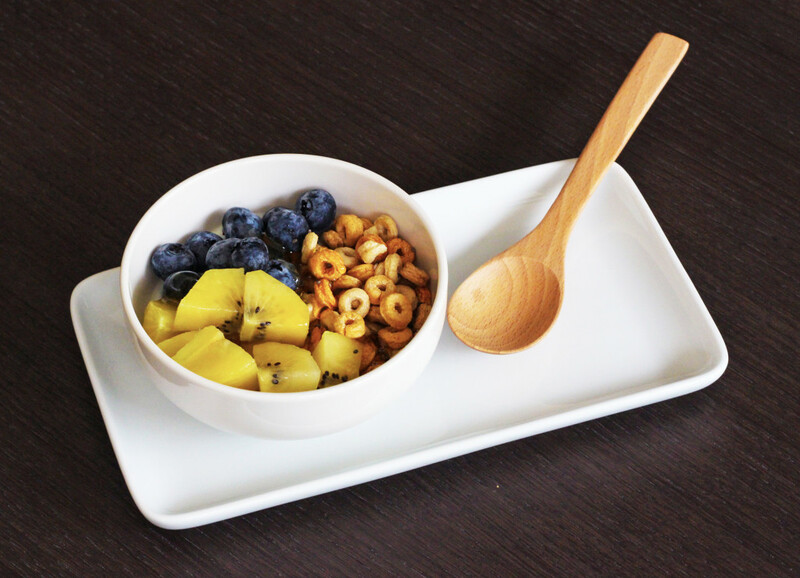 Easiest healthy breakfast ever. 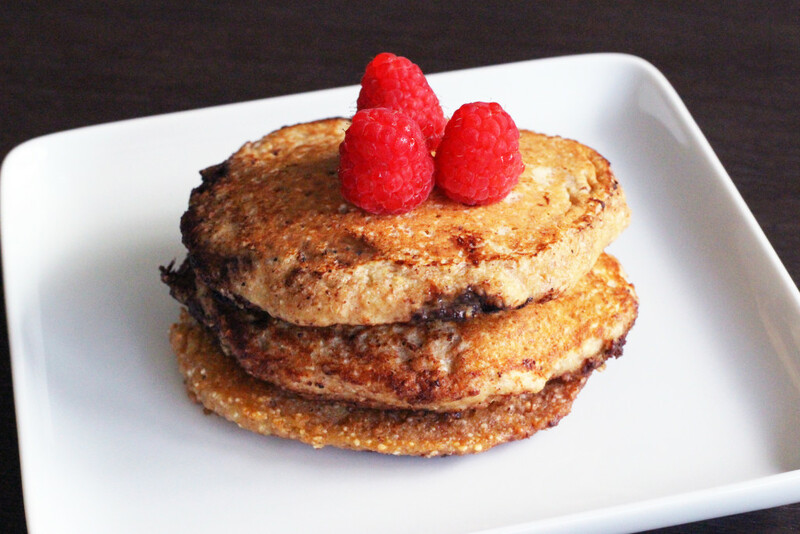 Pancakes are always a bit more tedious than other breakfast recipes, but these are worth it. Especially with chocolate chips. *This recipe makes about 7 to 8 pancakes. If you want to make less pancakes, just half the recipe. Original recipe can be found here, but I tweaked it a bit and it still tastes pretty good. 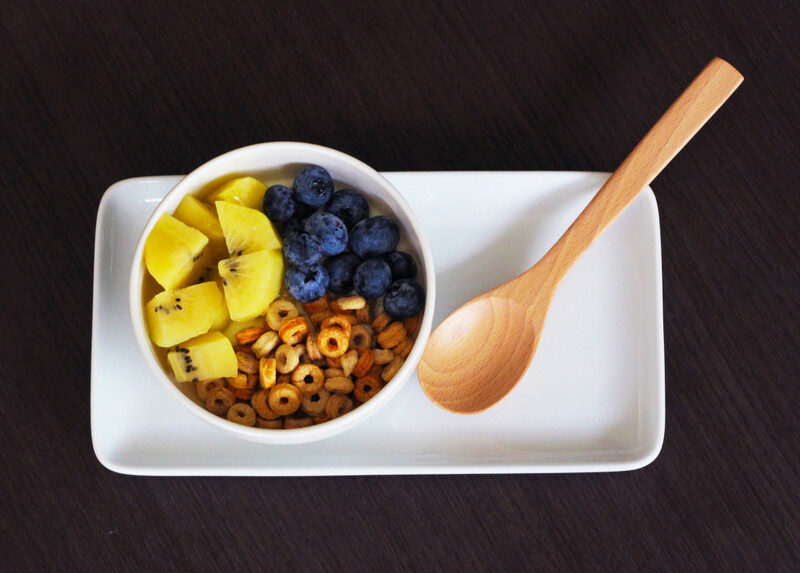 Mix the dry ingredients (instant oats, wholemeal flour, baking powder and salt) together in a bowl. The mixture may look kind of questionable at first, but do not despair. Things get better once you mix in the other ingredients, I promise. Crack the egg into another bowl and and whisk with the milk. Add in the brown sugar and greek yogurt, and whisk until the mixture is not lumpy. Whisk in the vanilla extract. Mix the wet mixture with the dry one, and stir gently until combined. Be careful not to overdo the mixing. You’re not trying to get arm muscles here. If you want chocolate chips in your pancakes (who doesn’t, am I right), add them into the mixture. Heat your pan over medium heat. Coat pan with olive oil or cooking spray, so your pancakes won’t stick. Nobody likes ugly pancakes, you know? Once the pan is hot, carefully drop about 3 or 4 tablespoons of batter onto the pan. Pat the mixture to form a nice circle. Wait until the edges are somewhat firm before flipping the pancake. Sit back and enjoy the fruits of your labour.